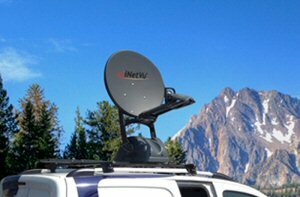 C-COM Satellite Systems Inc. (TSX VENTURE:CMI), a leading global provider of mobile auto-deploying satellite antenna systems, announced today that it has authorized its integrator NJ Albert to resell its ViaSat approved Ka-Band iNetVu® antenna systems across Canada. NJ Albert, based in Saint-Ambroise-de-Kildare (Québec), has been a C-COM certified Ku-band reseller for a number of years, and will be the first to deliver Ka-band mobile business solutions to their customers across Canada. 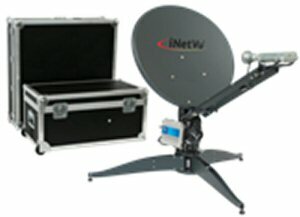 "The C-COM Ka-Band iNetVu® products have been certified by ViaSat and have been deployed on the Viasat-1 Exede™ Enterprise service in the United States for a number of years now. We look forward to seeing our advanced Canadian technology deployed across the country by our trusted dealer partner NJ Albert." said Leslie Klein, President and CEO of C-COM Satellite Systems Inc.
"NJ Albert Telecommunications is proud to be a certified reseller of C-COM. We are looking forward to providing our commercial customers new business solutions using the Ka-Band iNetVu® vehicle mount and flyaway antenna products in Canada." said Normand Albert, President of NJ Albert. Neither TSX Venture Exchange nor its Regulation Services Provider (as that term is defined in the policies of the TSX Venture Exchange) accepts responsibility for the adequacy or accuracy of this release. All director appointments remain subject to approval by the TSX Venture Exchange.